Have you ever fantasized about creating your very own one-of-a-kind art scarf? If yes, this workshop is for you. 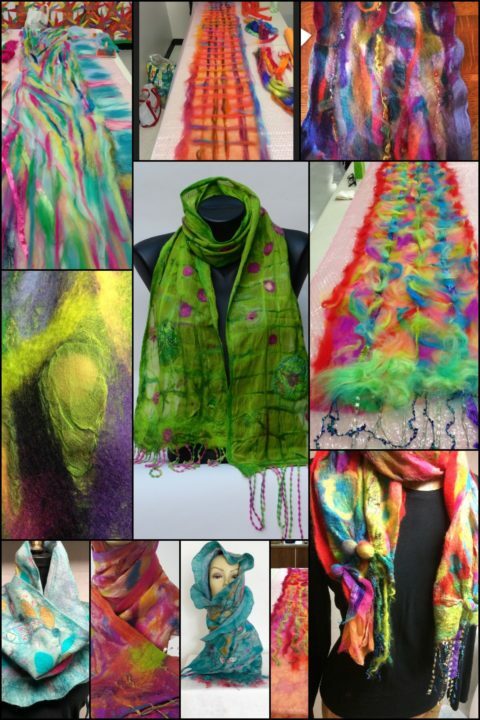 Come join Fiber Artist, Josie Dakers for a fun filled day where you will create your very own wearable art scarf using merino wool fiber, lightweight silk, cool embellishments, soap, water and lots of agitation. This class requires lots of standing so wear comfortable clothing and shoes. Come prepared to roll up your sleeves and have fun! You will go home with a lightweight Nuno felt scarf for yourself or friend.